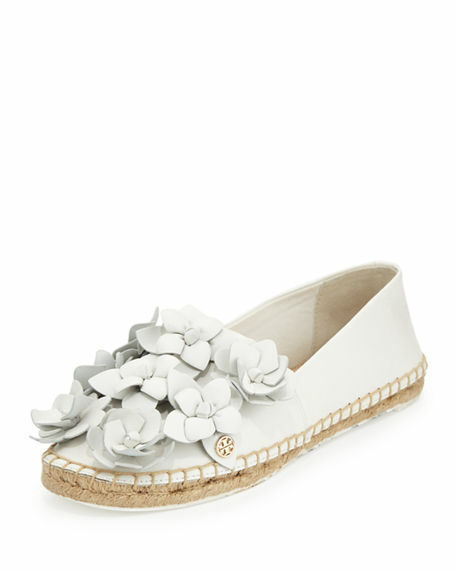 Glowy: Sunday Inspiration: Tory Burch Blossom Leather Espadrille Flat. 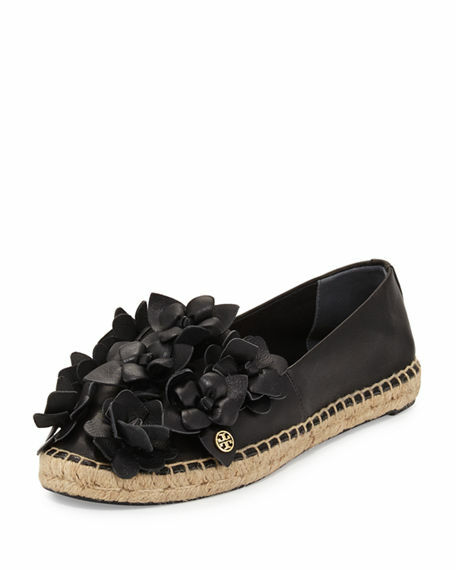 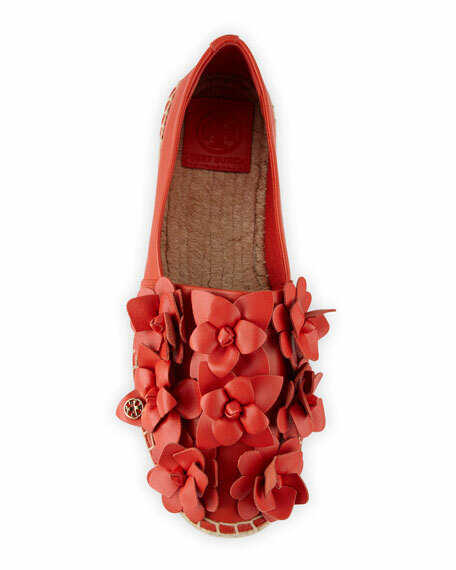 Sunday Inspiration: Tory Burch Blossom Leather Espadrille Flat. 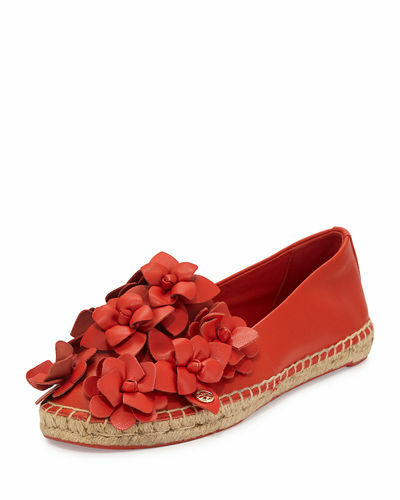 This is a Tory Burch Blossom Leather Espadrille Flat and perfect for 'em non heels lovers.Speaking of espadrilles, i don't own one but hope to soonest cos now am so ready to venture out into other styles of shoes cos am done been stereotyped ...i don't need to explain further cos ya'll know the most popular stereotyped footwear..
You can also tell us the footwear you wore to church today. 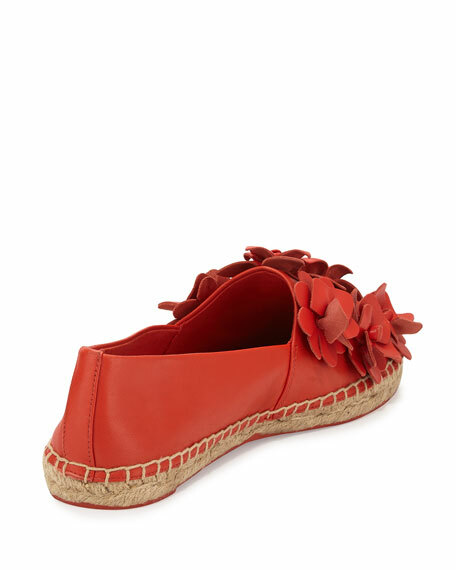 This espadrille is also available in other colors so pick your poison. 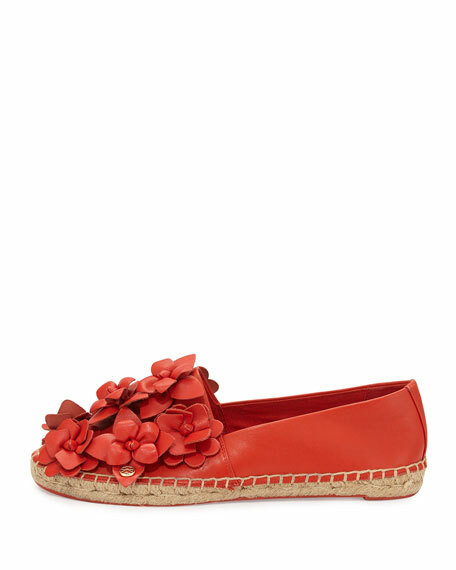 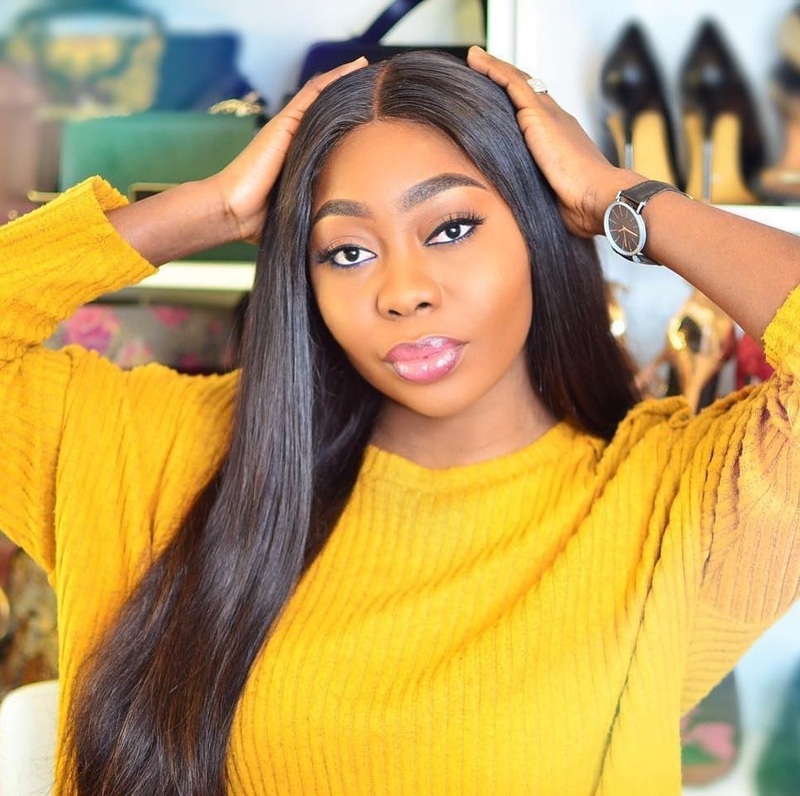 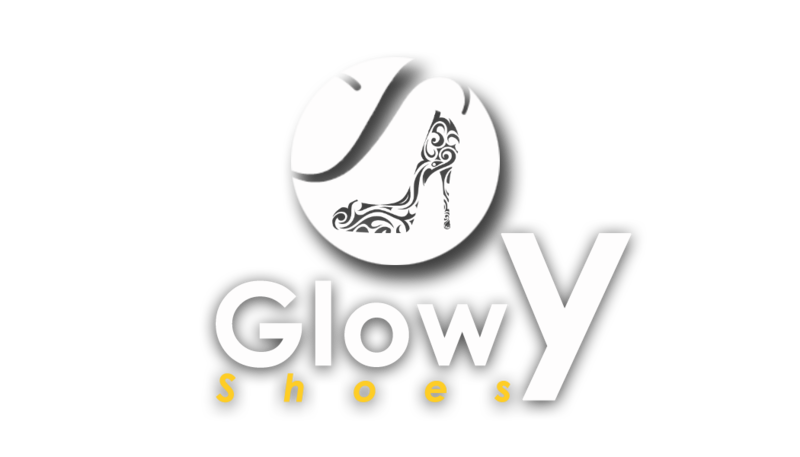 This shoe can be purchased here for $225.